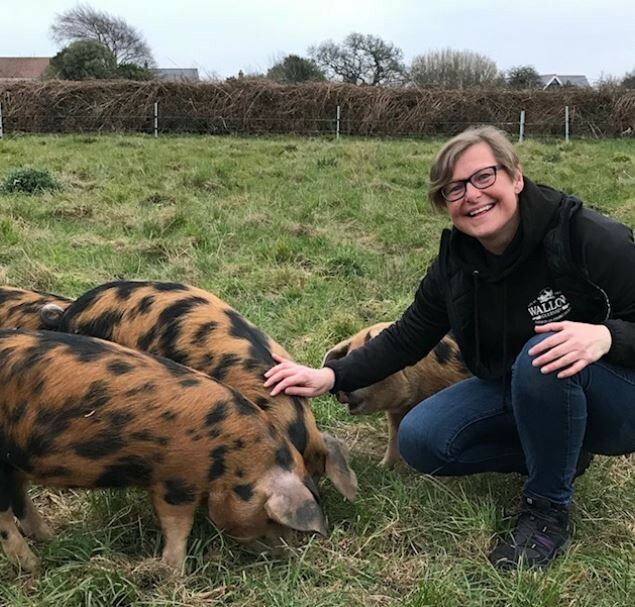 Locally born, Nicola is keen to share Guernsey’s natural beauty, heritage and traditions and enjoys focussing on the social and economic aspects of her native island’s fascinating history. Nicola also offers the opportunity to visit her brother’s smallholding, Wallow, nestled in the beautiful countryside of St Pierre du Bois. Nicola currently offers the following tours, but please feel free to contact her for any specific requests or bespoke walks, which she would be more than happy to assist with. Starting at L’Eree beach, we will walk up to the headland, along the coastal shingle bank to Le Trepied dolmen and return back to L’Eree through the tranquil lanes of St. Saviours. En route, we will take in the history of Guernsey’s vraic industry, the German Occupation, Neolithic burial chambers, folklore and shipwrecks. A tour inspired by the WWII based novel The Guernsey Literary and Potato Peel Pie Society; which takes in a visit to Wallow Farmstead Charcuterie to meet our (film star) heritage pigs, as seen in the Guernsey Literary and Potato Peel Pie Society featurette, and sample our artisan charcuterie. We then take a walk through the “ruettes tranquilles” down to the stunning West Coast to see the physical impact of the Occupation and learn about its effects on island life. It’s then a short bus ride to the Imperial Hotel, for a Blue Bottle G&T and a delicious two course meal.